On this week’s episode of You Have a Cool Job, we talk to Dr. Joel Stone. Joel is a veterinarian with a winding path. While he always wanted to work with animals, he started off doing this as a research scientist. Joel worked in everything from aquariums to animal labs, and happened upon an idea that he later turned into an invention. Joel founded Dr. Stone’s Scientific Solutions based on his invention, Better Breath™ for Pets, which is a product that kills the bacteria in a pets teeth using a water tablet solution. Switching from research to veterinary care when he moved back to his home state, Joel now works exclusively with cats. You Have a Cool Job is a podcast hosted by Taylor Sienkiewicz from Peterson’s. The show highlights professionals who have a unique, interesting, uncommon, or otherwise cool job. Our goal is to motivate you and show how interesting, fulfilling, and anything-but-average your career can be, and we’ll do this by talking with people who took a path less traveled. We ask these fascinating individuals how they got to where they are in their career based on their education, experience, and influences; why they love their job; and lots more. If you like what you’re hearing, check out these resources to get plugged in. Subscribe to You Have a Cool Job on Apple Podcasts, Soundcloud, Stitcher, and Google Play. View other podcast blog posts here. Subscribe to receive an email containing each podcast episode of You Have a Cool Job as they’re released. Learn more about Joel’s work here. Have a nomination for the show? Drop a line here. 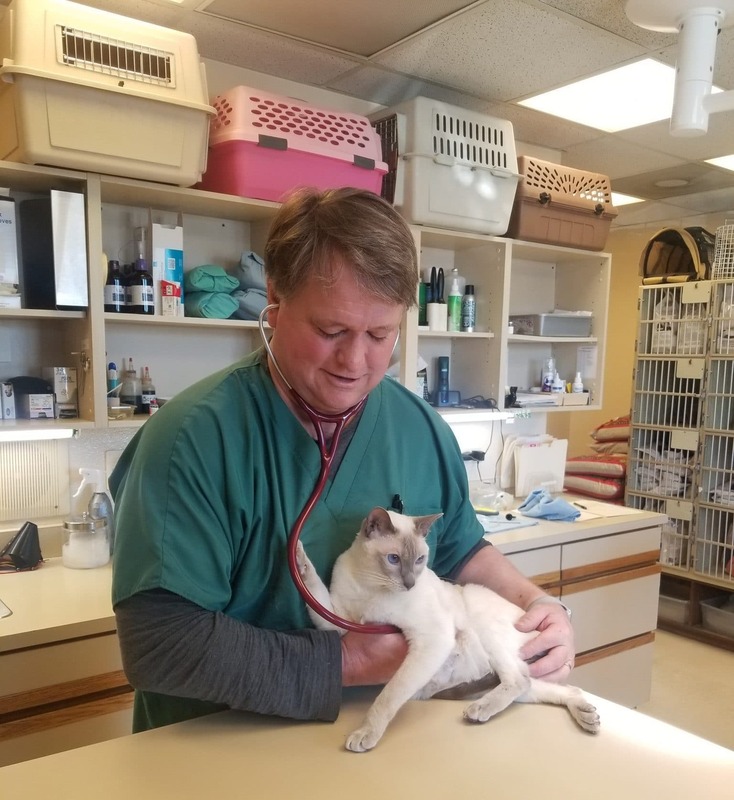 Dr. Joel Stone working with a cat at his clinic. HOST SHOW INTRO: Welcome to the show! From Peterson’s, I’m your host, Taylor Sienkiewicz, and you’re listening to “You Have a Cool Job”, a podcast highlighting those who took their profession in a unique direction, and what they did to get there. HOST INTRO: On this week’s episode of You Have a Cool Job, we talk to someone who’s both a veterinarian and an inventor. 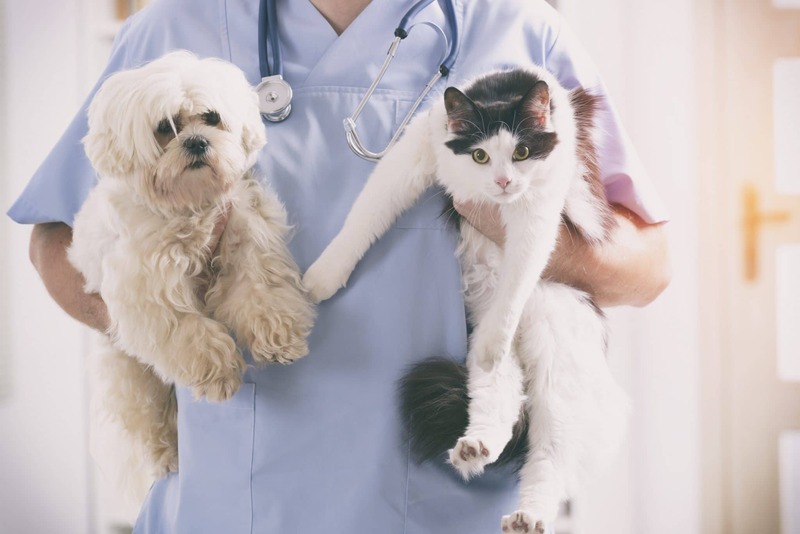 Dr. Joel Stone seems to have worked in every possible avenue of the veterinary world, from research to aquariums to cats. He talked about the variety of his experience in the field. JOEL STONE: The variety that we’re talking about is you know I’ve I am currently a clinical practicing veterinarian working in and all feline practice all cat practice and actually worked at two different cat practices but before that I actually worked as a research veterinarian at Merck I was a director of comparative medicine at Wyeth which are two huge pharmaceutical companies. I also worked is a research veterinarian at both the University of Pennsylvania and the University of California San Diego and so there I’ve had a chance to work on a whole variety of different animals you know everything from an aquarium and you know working on sharks and other types of fish and which was very interesting but you know as a lab animal veterinarian I worked on monkeys I did a residency working on monkeys rabbits mice rats fish frogs horses cattle goats sheep you know so just a big long list of animals that I’ve come in contact with. HOST: You may have caught on to how while Joel previously worked with all different kinds of animals, he now specializes in cats. JOEL STONE: What’s different now and what I find to be actually kind of a relief is to be able to focus on one single species and the reason I like that is because I feel more confident with the assessments that I make and the treatments that I make. I feel like I have a in-depth knowledge of the feline of cats now that I focused on them so that is definitely one part of my job that I currently have that I enjoy as be able to focus on one particular species of animal. HOST (LIVE): Definitely, and what is what is kind of the difference between doing that in your day to day life on working with just cats? JOEL STONE: One of the differences I would say is my my day is a little I know pretty much what’s coming I kind of have a good idea of how the day is going to go I even if I don’t know what every single appointment I have is going to be working in a research facility every day was completely different you know you may be may be doing veterinary work on a monkey but then you know you’re going to be sitting in a room with a variety of other investigators discussing ways better ways of handling animals and getting information in in the the most humane way so there’s there’s there’s a less variety I guess in some ways in regards to my job but I have now but it also is good for me to know what you know what I will be doing you know throughout the day it’s a little bit more clear to me. HOST (LIVE): Right and then why did you choose to work with cats in particular? I always found cats I like cats because they’re so athletic they’re amazingly athletic animals a little more mysterious than dogs I think they’re they’re harder to understand I always compare cats to women and dogs to men you know men are pretty straightforward easy to understand cats are a little more harder to to understand what they’re thinking what you know what they want what they you know that sort of thing and then the other thing is as I’m getting older I certainly don’t want to be lifting 100-pound dogs on the tables and you know listening to barking dogs and that sort of thing so cats are a little bit easier to handle in some ways of course they can be very mean when they want to be but it’s just not quite as physically straining and that’s I think the reason I’m working with cats now. HOST (LIVE): Okay and switching gears a little bit you founded Doctor Stone’s Scientific Solutions I saw, can you explain a little bit about that invention? JOEL STONE: Certainly. You know it all it started actually at the University of California San Diego where I actually had a pool full of frogs and these frogs were being used for classes that were being done there and frogs can get this disease called red leg and all red leg is is a bacterial infection on the skin of frogs and my job as a veterinarian at the University was to clean these frogs up make them healthier and so we had a compound we had an antibiotic mixture of five different antibiotics and and I had been reading about silver and the antibacterial properties of silver so I actually figured out how to get silver off of quarters because I wanted to test to see whether or not the silver colloid that I could make with the equivalent to these five separate antibiotics that we generally treated these frogs with and you know to my surprise actually after identifying and collecting silver off of just straight quarters in my my office and then testing one frog with the silver colloid and another frog with a combination of five different antibiotics I was amazed to see that the silver actually was better than the combination of these five antibiotics for this he’s this frog so I learned quickly that the silver has this really amazing antibacterial property and then I and I kind of just kept that in the back of my mind I’ll be honest with you and she’s one of those things I learned it was interesting and I just moved on with the next thing but when I went back into clinical practice I noticed that one of the major problems of cats and dogs in our society is their teeth most clients don’t look at the animals teeth they don’t pay too much attention to it and because of that they often have very bad dental health and it was a major problem it’s still the number one problem identified by veterinarians in cats and dogs as their their dental health and I was just getting sick of saying all these horrible teeth so I decided to try to produce a drug that would work to help prevent dental disease and you know thinking back on my my work on with the silver in these type of frogs I decided to make a tablet that actually you could put in the drinking water of dogs and cats and when they drink the water that antibacterial property would clean their teeth and so that’s how it all started and I found somebody that could manufacture it in Monument Colorado a person who actually was making silver citrate for the human field actually for Dennis to use and so I was able to work with this person it’s sterile cells name of this company and I produced these these tablets that you can put in the drinking water of dogs and cats and it helps keep their teeth clean and you know I’ve seen it work it does work and and that’s how it all got started. I’ve had that company out for four or five years and and it’s grown it’s not grown as much as I would like mainly because I just don’t have enough time to put it into the business but it definitely has been profitable and has grown so I’m happy about that. HOST (LIVE): And it sounds like you weren’t really looking to discover this product you just happened upon it? frogs were in it was completely sterilized they killed all the bacteria in that water and the Frog didn’t die I mean it was a it was amazing the antibacterial properties that this this product has is what we use now is silver citrate which is actually even a little bit more potent than what I originally used at the University of California San Diego but this silver citrate has a very good ability to kill bacteria bacteria so and it’s not harmful when the dogs and cats drink it it’s at a it’s at a level that is very very safe and has been proven to be safe by several different investigators so yeah it’s it kind of happened upon it I just put two and two together a big problem in the veterinary world along with a project that I was working on in San Diego and I put those two together and I have a product that I can sell. HOST: Joel talked about his work in research before he became a practicing veterinarian so I wanted to know what motivated him to make the switch. a lot there are there good and bad things about the research arena as well as the clinical practice in terms of you know quality of life and all that sort of thing but overall I’m glad I did that I just I I still learn new things every day. HOST (LIVE): Okay great so Joel I think the last question that I have for you actually is just what is your favorite thing about your work or your career path and what you do? world I feel like first of all I feel like I’m doing what I was made to do I have a passion for it I love the animals and I um I have have had great opportunities working with very interesting people not only as clients but also as other veterinarians and coworkers I enjoy medicine and learning about disease process and treatments enjoy I’m trying new things and new treatments better treatments I think the bottom line is that what I really enjoys making clients and owners happy when I’m able to improve the health of their pets that that is a huge that’s where for me of the joy of veterinary medicine is and when I’m able to do that it makes it worth it and so that’s why I’m still doing what I’m doing. HOST (LIVE): Yeah and I mean people I feel like care more about their pets health sometimes than their own. know compare that to a video game or a movie or a vacation you know it doesn’t really compare I mean in the long run I think animals are huge contributors to our society and to our our daily life and so you know I guess I I guess it’s difficult to measure but the amount of joy and happiness that those animals provide to their owners is is is a lot and they care about their pets because of that I I think that’s that’s the bottom line. HOST: Joel knew early on that he wanted to work with animals, and while his career has taken him through the research side of animal studies he has ended up caring for animals directly. We hope you’re inspired by Joel’s story to pour your personal abilities and passions into your career too. Thanks for tuning in, we’ll see you next week.